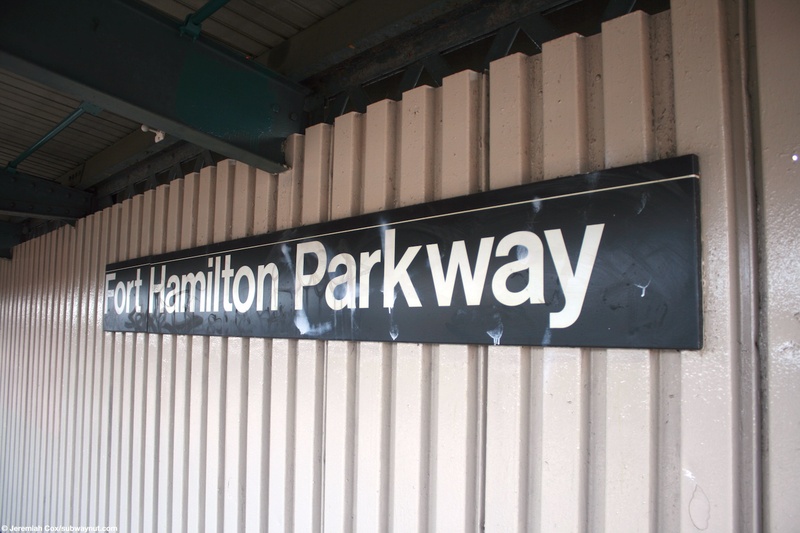 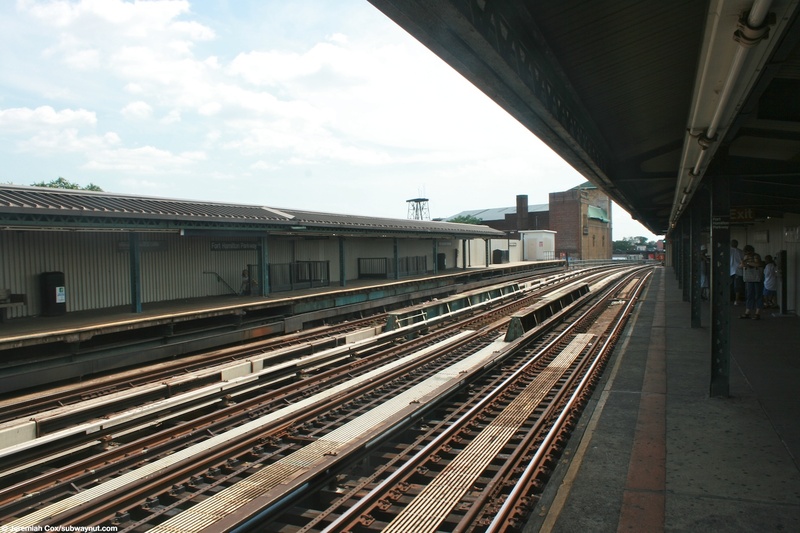 The Fort Hamilton Parkway from a train looks like a typical elevated West End Line station with two side platforms that have windscreens along almost there entire lengths. 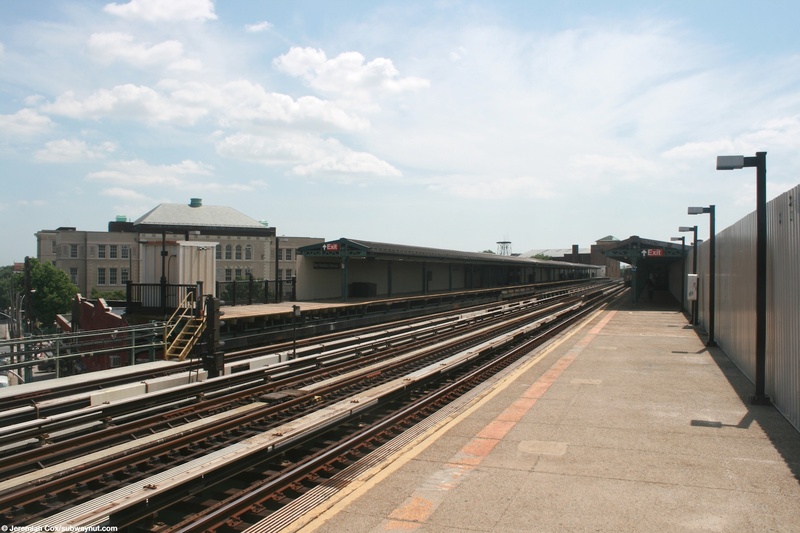 The platforms are slightly offset from each other, Coney Island-bound slightly further north than Manhattan-bound. 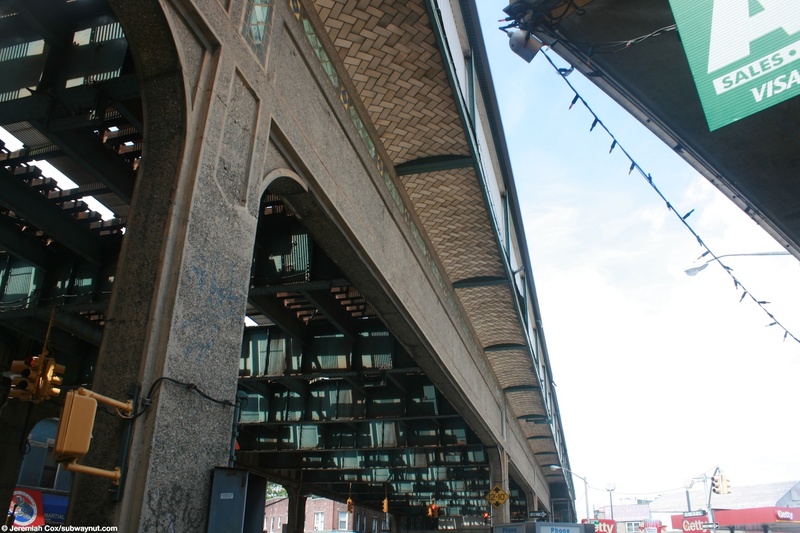 From the street the elevated structure was given decorative concrete facing and is an example of the architectural detailing of the Arts and Crafts Movement when the station was built. 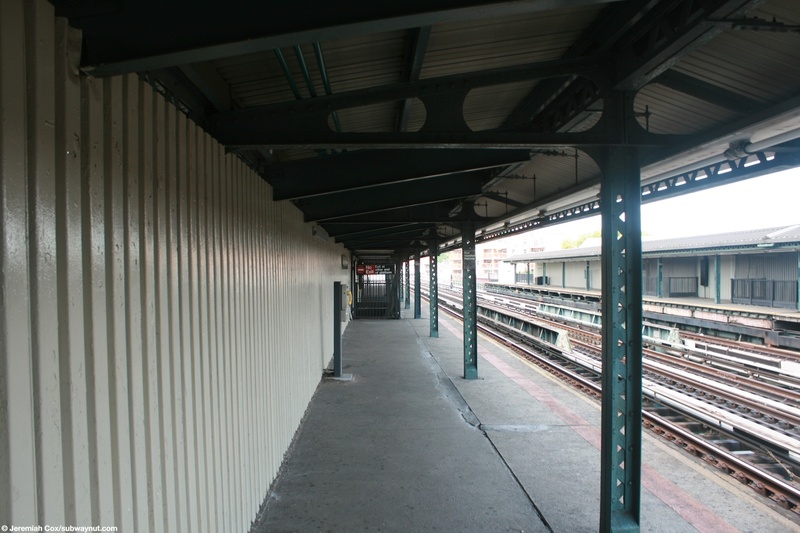 The bottoms of the platforms that poke themselves out of the concrete work are small triangles painted a cream color, along the sides of the concrete work is some subtle mosaic tile that is green and similar to those found on the Sea Beach Line's station houses. 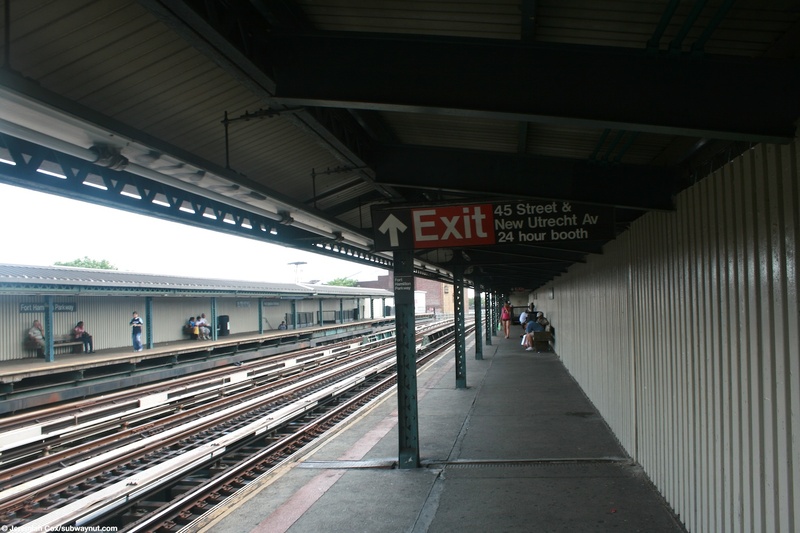 The stations only currently opened exit is at the southern end of the station. 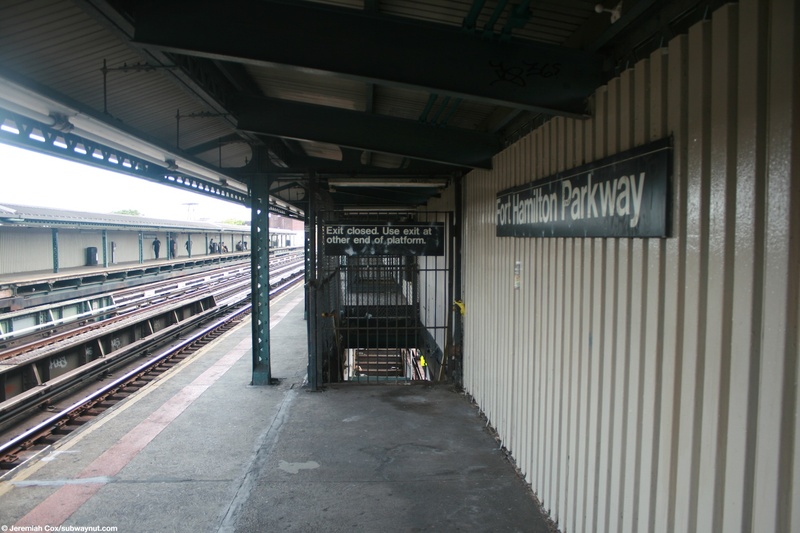 Two staircases lead down from each platform to a decent sized station house nestled beneath the tracks, where the turnstiles and token booth are. 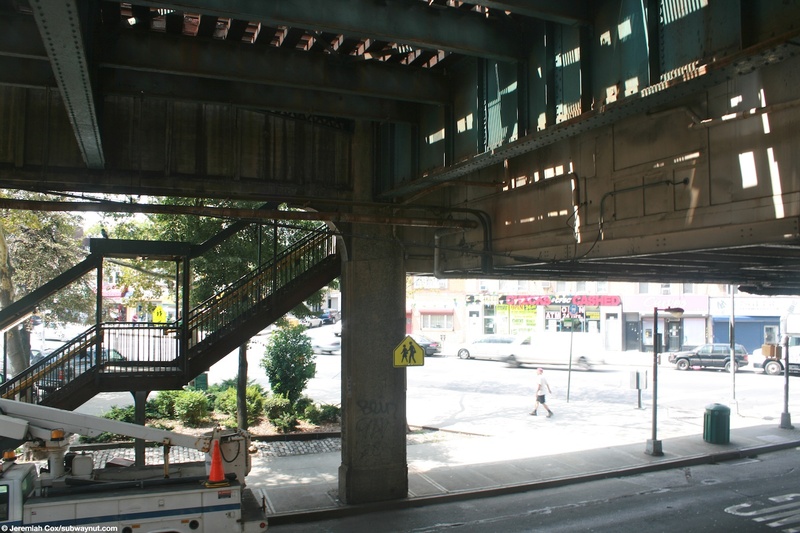 This leads to two street stairs on either side of New Utrecht Avenue and it's intersection with 45 Street that is at an odd angle. 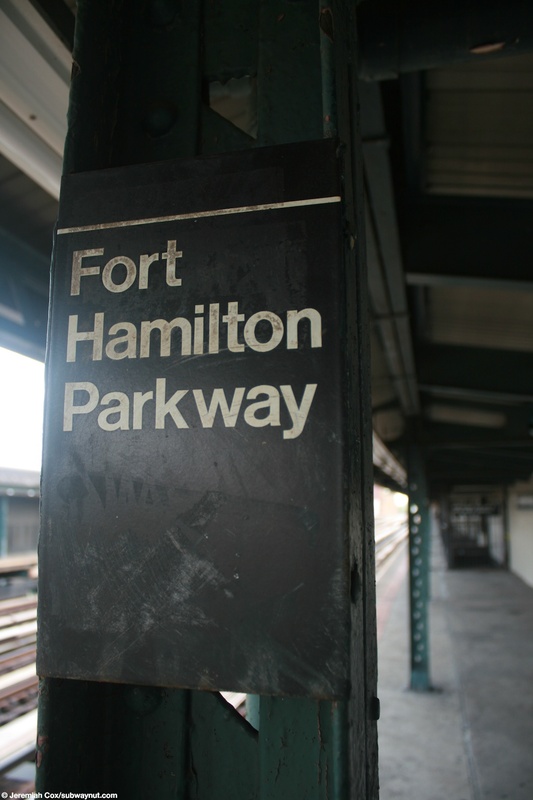 Fort Hamilton Parkway is just across the tiny triangle opposite the western street stair. 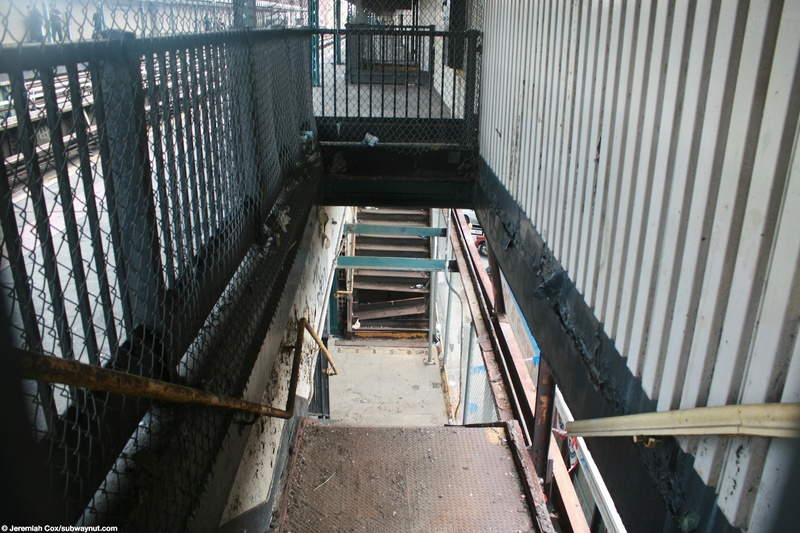 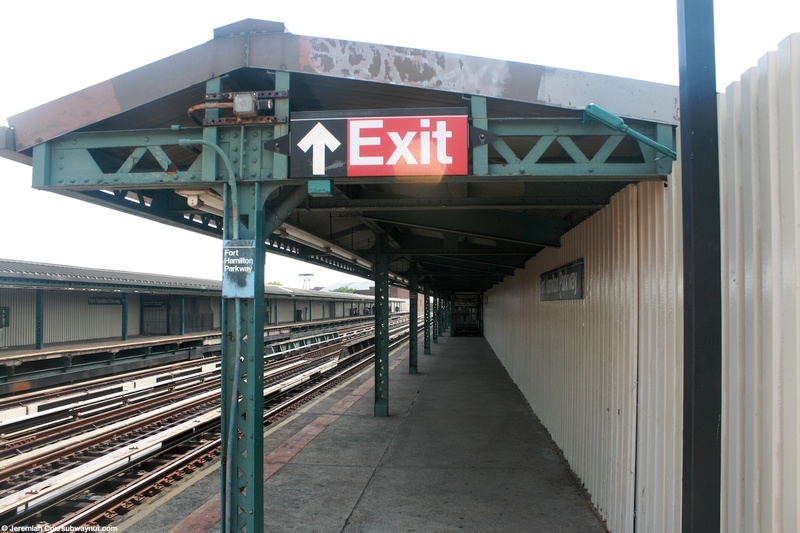 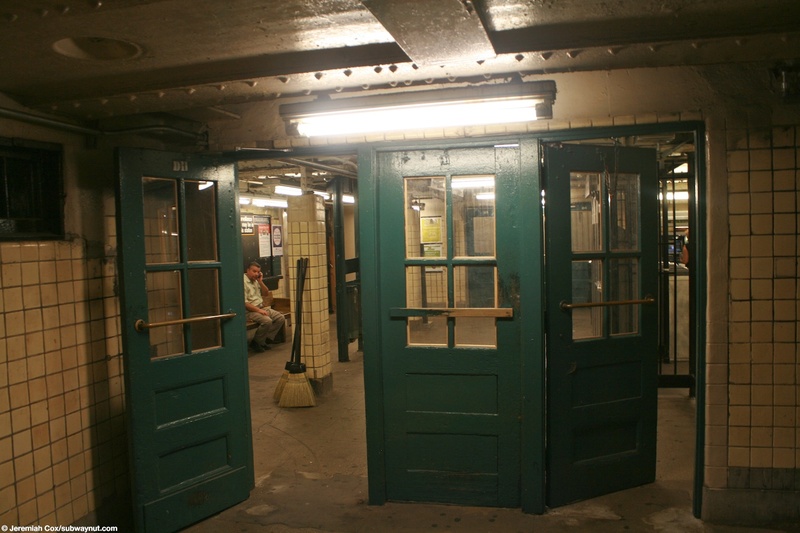 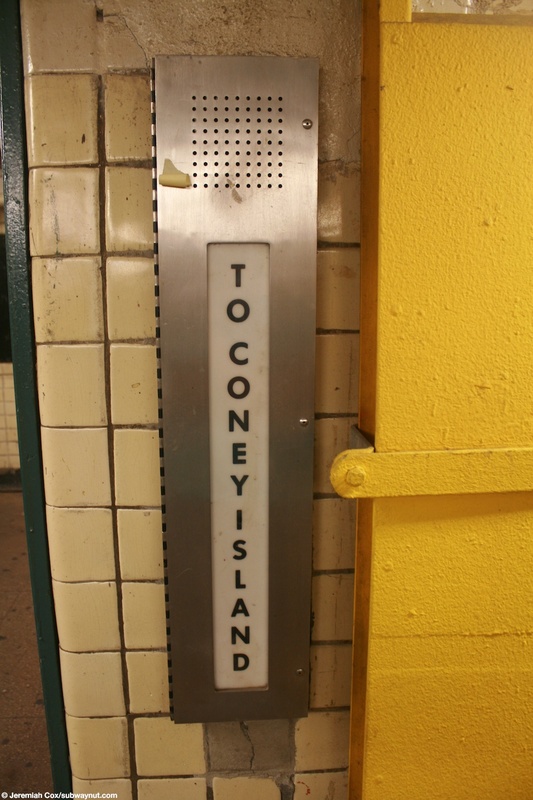 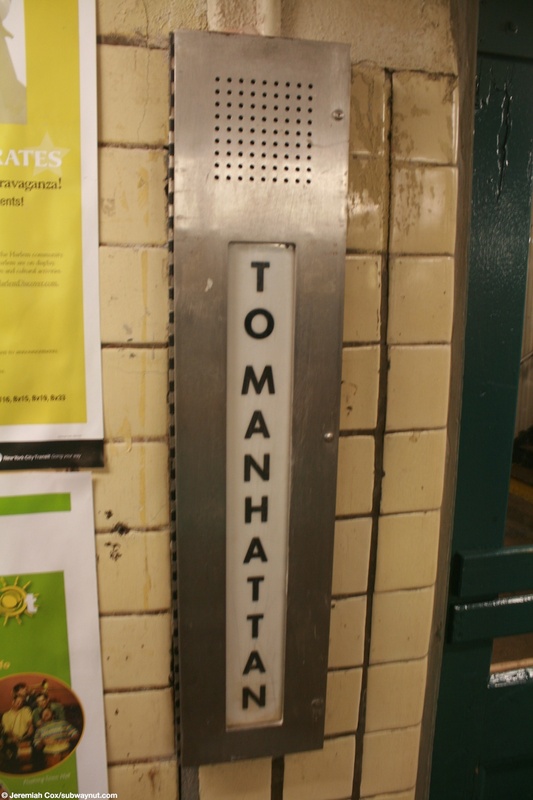 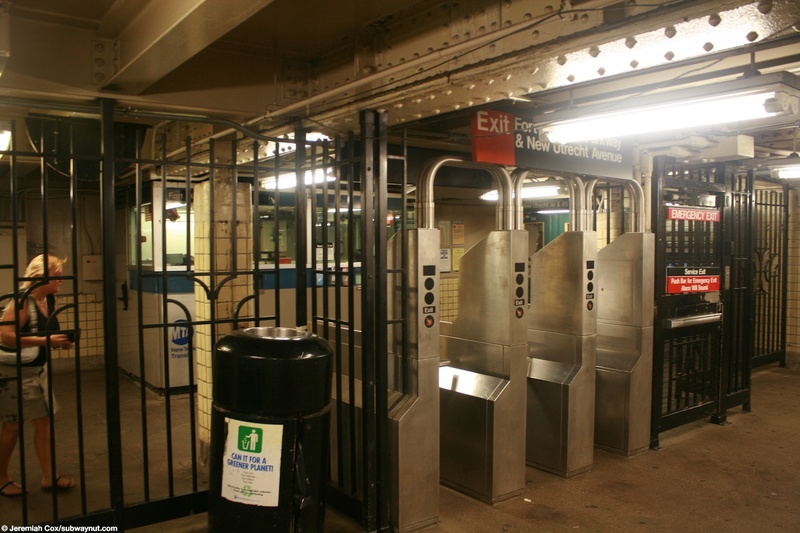 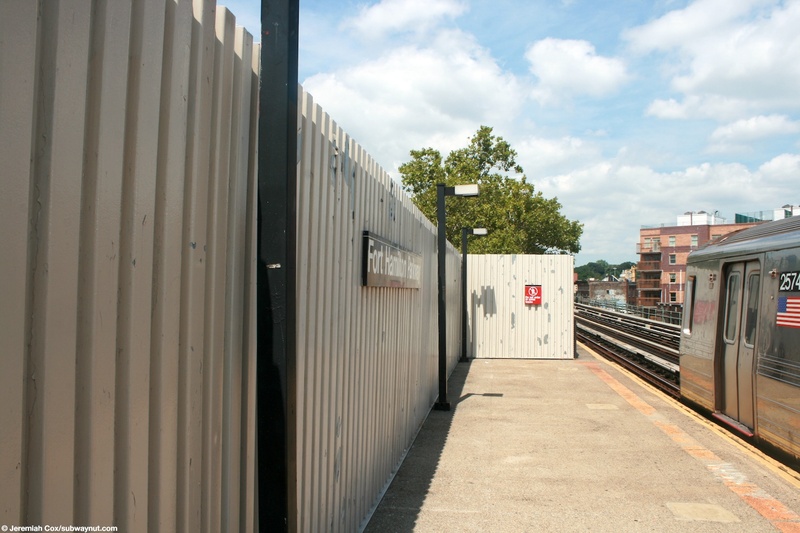 At the northern end of the station is a closed off abandoned exit, two fenced off staircases lead down from each platform to another station house who's abandoned self is beneath the tracks and to street stairs on either side of New Utrecht Avenue between 43 Street and 44 Street/Fort Hamilton Parkway, a six-way intersection.